Your Batcave of information on Funko’s line of action figures. Welcome to the FUNKO BATMAN ’66 Index, a clearinghouse dedicated to the company’s new action-figure line. This post, which will be updated on a recurring basis, is your HQ for all our behind-the-scenes features, reviews, interviews, teases and so forth. 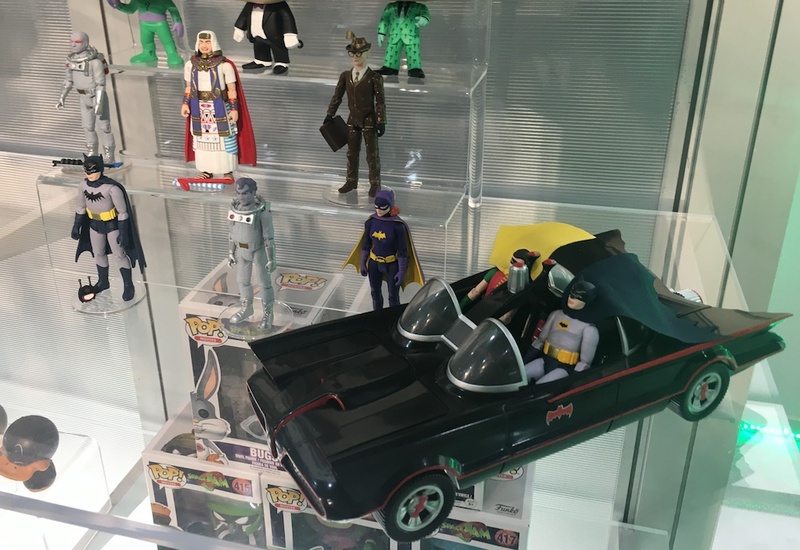 — TOY FAIR 2017: FUNKO Goes All in With New BATMAN ’66 Action Figure Line. Click here. — FUNKO’S New BATMAN ’66 Line Wins TOY FAIR 2017. Click here. — EXCLUSIVE: Funko’s BATMOBILE is Coming in May. Click here. — EXCLUSIVE: Funko’s BATMAN ’66 Wave 1 is Coming in June. Click here. — EXCLUSIVE: Funko’s SCREEN TEST BATMAN Will Be a Chase Figure. Click here. — EXCLUSIVE FIRST LOOK: Funko’s CATWOMAN Figure. Click here. — EXCLUSIVE: Green Hornet and Kato Could Be Coming to Funko’s BATMAN ’66 Line. Click here. — FUNKO Drops Major Hints on What’s Next in BATMAN ’66 Line. Click here. — REVEALED: Funko’s 1966 BATMOBILE SDCC Exclusive. Click here. — SURPRISE! Funko Releases Insane SHERBET BATMAN & SILVER BATMOBILE Set. Click here. — FUNKO Hints at the 1966 BATMAN Variants to Come. Click here. — FUNKO Unveils LIFE-SIZE 1966 BATCAVE. Click here. — FUNKO Unveils BLUE BATMOBILE For New York Comic Con. Click here. — CHRISTMAS GOLD: Funko Releases New 1966 BATMOBILE Variant. Click here. — TOY FAIR 2018: Funko Says BATMAN ’66 Wave 2 Coming This Summer. Click here. — BATMOBILE, with Batman and Robin: The Great, the Good and the Quibbles. Click here. — WAVE 1: The Great, the Good and the Quibbles. Click here. — HOLY TECHNICOLOR! Funko’s RED BATMOBILE is a Rad Ride. Click here. — Funko’s BLUE BATMOBILE is a Colorful Blast From the Past. Click here. — Funko’s New 1966 BATMOBILE Goes For Gold. Click here. — EXCLUSIVE: The Inside Scoop on Funko’s New Batman ’66 Line — An Interview With Designer Reis O’Brien. Click here. — EXCLUSIVE: The Art of Sculpting BATMAN ’66 — An Interview With Sculptor Shelley Rappleye. Click here. — EXCLUSIVE: The Secrets of Funko’s BATMOBILE — Revealed! Click here. — VROOOOM! A BATMOBILE Set Photo Gallery. Click here. — Funko Batman and Robin Take Flight in the Original 1966 BATCOPTER. Click here. — The Inside Scoop on Funko’s RED BATMOBILE Set — With EXCLUSIVE PIX. Click here. 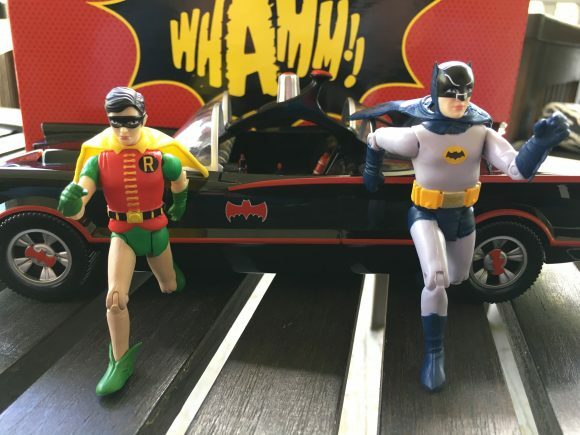 — Looking Ahead to BATMAN ’66 WAVE 2. Click here.